Lismore A.F.C. beaten by Inch United. Inch United has yet to be beaten in this competition, having won 7 out of its last 9 games. Ben Budds moves to top of clean sheets table in this competition after another clean sheet in this game taking the keeper's total clean sheets to 3. Ciaran Leahy moves to top scorer in this competition after scoring in this game taking the player's total scores to 10 goals. 13/04/19 1 pm Cappoquin Railway F.C. 1 2 Lismore A.F.C. 06/04/19 2:30 pm Inch United 3 0 Lismore A.F.C. 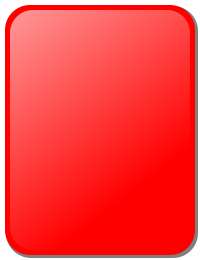 18/03/19 12:45 pm Lismore A.F.C. 3 0 Ardmore A.F.C. 02/02/19 2:30 pm Valley Rangers 2 0 Lismore A.F.C. 30/03/19 5 pm Inch United 9 1 Cappoquin Railway F.C.